Thanks to its diverse properties, birchbark was once one of the most widely used materials in Russian, Scandinavian and Canadian crafts, and had a vital everyday role in the temperate to cool climactic zones of the Northern Hemisphere (where birch trees grow in large groves). Despite its excellent properties, birchbark has been gradually replaced by industrial materials and has almost completely been displaced from the market. This has contributed to the material, and the thousands of years of craftsmanship that go with it, gradually falling into oblivion, and so the enormous potenti- al of this fascinating raw material is barely exhausted today. The products developed by MOYA revive the characteristics of birchbark and also reinvigorate endangered trade. 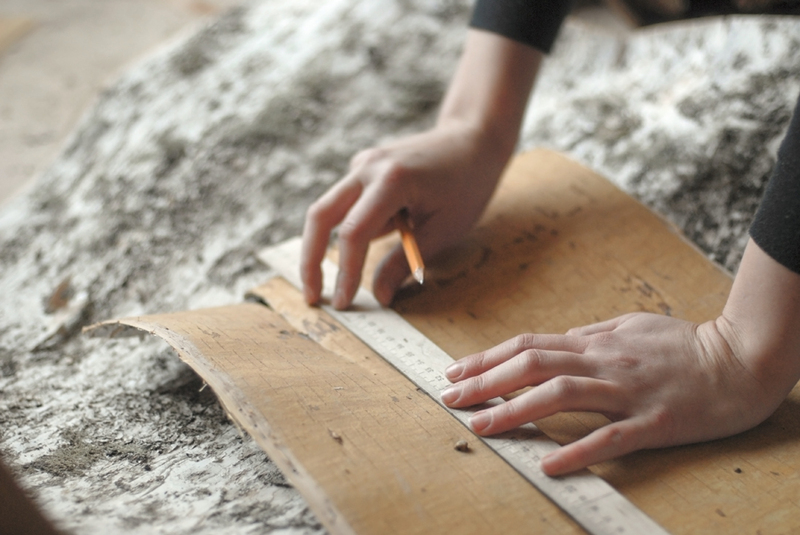 In addition to the existing production in Siberia, MOYA has set up a new birchbark production facility in collaboration with Ivanovo Furniture Factory (Ivanovskaya Mebelnaya Fabrika: http://www.i-meb.ru), which passes on these age-old craft techniques to younger generations. Together, we are training new staff and expanding our range of products through new designs.